How to Start a Cannabis Business – Sacramento. So, you want know the how to start a medical cannabis business and want to learn how to start a marijuana business with the new marijuana business legislation SB 643, AB 266 and AB 243? Start the medical cannabis collective you have been thinking of and learn about the new marijuana business laws. Get all knowledge and all the right tools in our 2 day workshop. On October 24 & 25, 2015 – 420 College and attorneys will be hosting a live seminar in the Sacramento area to go over all aspects of marijuana dispensary and delivery service business start-up and operation and new marijuana business legislation SB643, AB266 and AB243. Our hands on medical marijuana business start-up seminars are perfect to get started! You get an intense day of advanced information about how to start and operate a medical marijuana patient collective (club or co-operative). Day 1 will focus is on how and why you need to start up your marijuana business PROPERLY and LEGALLY, under the state laws. Objective #1: Step-by-step review of state requirements to start a medical cannabis “dispensary” business in California. We cover Proposition 215, SB.420 and California Attorney General Guidelines for Non-Diversion, the latest Case Law in California & and new marijuana legislation SB643, AB266 and AB243. 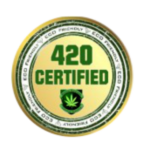 Business permits and other marijuana business paper work needed. How to choose the best locations to open your business. What to write and what not to write on marijuana business application. Corporate Entities & Proper Corporate formation. Who gets to pay taxes. Who is subject to income tax. Bookkeeping & accounting for a marijuana collective. Who owns the marijuana business? Can I sell it? Create new contacts & Network with others at the seminar. Learn how to start any type of cannabis related business. You Will Be Taking Lessons From EXPERIENCED Professional Growers. 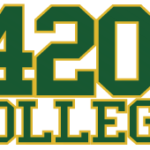 420 Cannabis College Events Give You a Chance to Reach Out and Meet Others like you who are just getting into the industry.